In part three, we discussed how technological innovations have changed the landscape of loan origination in recent years. That, in fact, has been where most tech investment in commercial lending seems to have been directed. But loan origination is just the beginning. So much more can be done to create efficiencies throughout the life of each lending relationship. 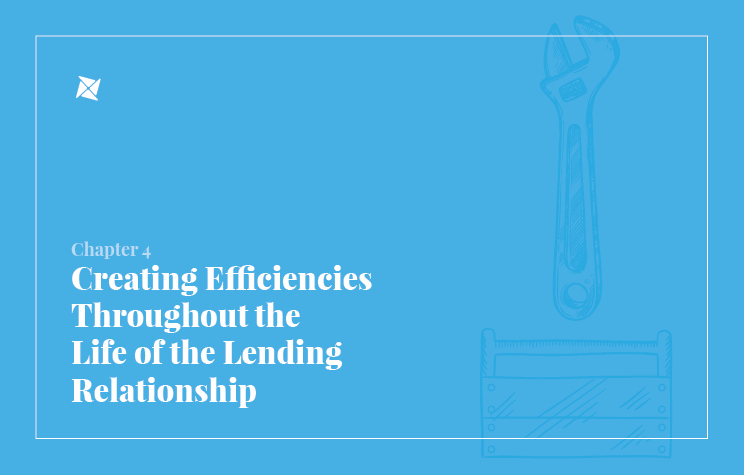 As in the case of loan origination, these efficiencies will streamline the efforts of both borrowers and lenders and create a richer experience. The term end-to-end has been used by software vendors and bankers in recent years to describe loan origination systems. I heard this term no less than 30 times during a recent banking conference. I hereby announce today that the term is dead, or at least should be.